For the past few years, I've been aware that some people were dosing their tanks with Vodka. Yes, the stuff that people drink from the liquor store. When I was at MACNA one year, the famous David Saxby was in attendance. He was in the beautiful Deltec booth, telling me that my nitrate and phosphate issues would be resolved if I were to use lots of RowaPHOS in a big Deltec reactor, and my tank would do even better if I dosed vodka. 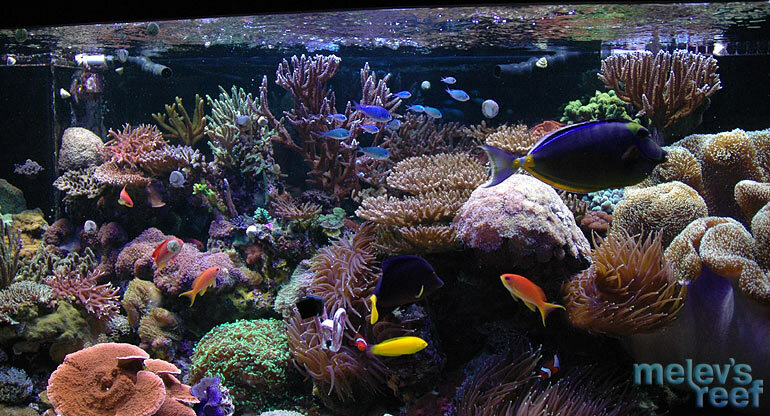 David's gorgeous tank can be found on the web, packed full of fish that every reef keeper dreams to emulate. So... vodka, huh? I filed it away, because I just didn't know enough about it. During the summer of 2008, an article finally came out explaining how to dose a tank with vodka. 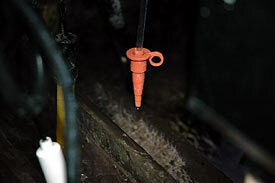 Please read it very carefully: Notes from the Trenches - Vodka Dosing... Distilled! So now that I had the recipe in my hands, I decided it was time to give it a try. I made sure that I had 80 Proof vodka (40% alcohol), and I took careful notes to make sure I dosed correctly each day. My journey started on July 14th, 2008. This continued for a long period of time. 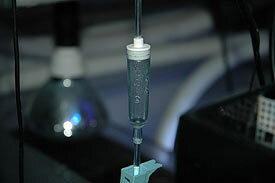 To determine how much vodka is sufficient to break down nitrate and phosphate, tests need to be done weekly. I was watching for the numbers to begin dropping, but I was in for a very long wait. My reef tank has a DSB (Deep Sand Bed), a refugium filled with sand and macro algae, and it was a mature, established system. I stopped using GFO in my tank during the vodka dosings, but I did run GAC (granulated activated carbon) in a Phosban reactor - which is changed out bi-weekly. FYI: At the scheduled rate of adding .5 ml per week, it took 27 weeks to reach 15 ml. Almost 7 months! 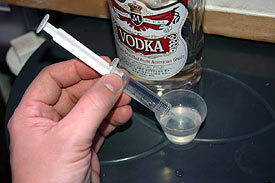 The months went by as I gradually ramped up the dosage until it reached 15 ml of vodka per day. For my system, that is when the magic happened. Nitrates dropped to 0, as I'd hoped they would. Phosphate hasn't been a problem in my tank in a long time, although it was present. I do believe that the vodka helped keep the phosphate from rising quickly, but it did go up ever-so-slightly between testings. When it got around .25 ppm, I dosed the tank with Blue Life's Phosphate Rx to bring it back down to 0 ppm overnight. I really do like that product. 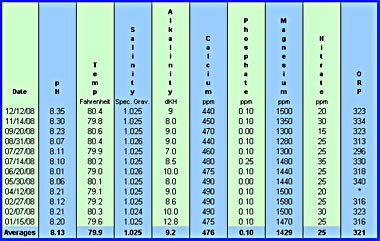 Click the images above to see the larger version available on the Reef Parameters page of my site. 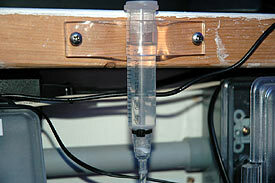 As of the writing of this article (May 10, 2009), I've been dosing my tank for almost exactly 10 months. During those 10 months, I used over 3 liters of vodka in my tank. The brand isn't important; the last bottle I purchased was 1.75 liters, and cost about $10. During those 10 months, I did four 55-gallon water changes, used Phosphate Control four or five times, and nitrates are measuring 0. During the past two months, I've reduced the vodka dosage from 15ml to 12.5ml, and then again to 10ml per day to see if that is the 'maintenance' dose, as directed in the original article. By July 2010, I'd dosed my tank daily for three years to keep nitrate levels down, and it worked. I stopped dosing when I had to break down the 280g because it was leaking. 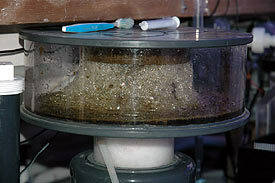 As of February 6th, 2011, I chose to use biopellets instead to control nitrate and phosphate for the 400g setup. What's the bottom line? 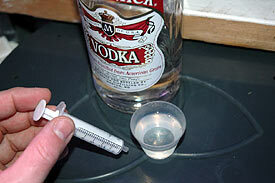 Dosing vodka is easy if you can keep up with it, daily. The cost for 10 months was under $40, and I didn't have to deal with refilling a Phosban Reactor with GFO and all that that entails. I purposely didn't do very many water changes because I wanted to know if vodka could do the job as advertised. 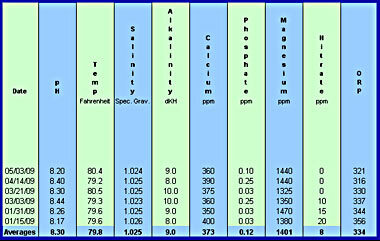 Had I done monthly water changes, nitrates would have been diluted away, at least in part. It wasn't a quick process, but it did bring them down from 35 ppm to 0 ppm, and they are staying consistently at that low point ever since. 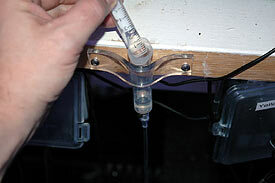 An additional perk to vodka dosing is the ability to feed more heavily without fear that water quality will suffer. It can be a challenging dance indeed to not overdose with food nor with vodka. Water clarity is obvious to the eye. 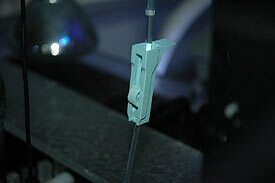 I still believe this is a method best suited for seasoned hobbyists and not for those new to the hobby, because they lack the ability to quickly recognize corals reacting badly. 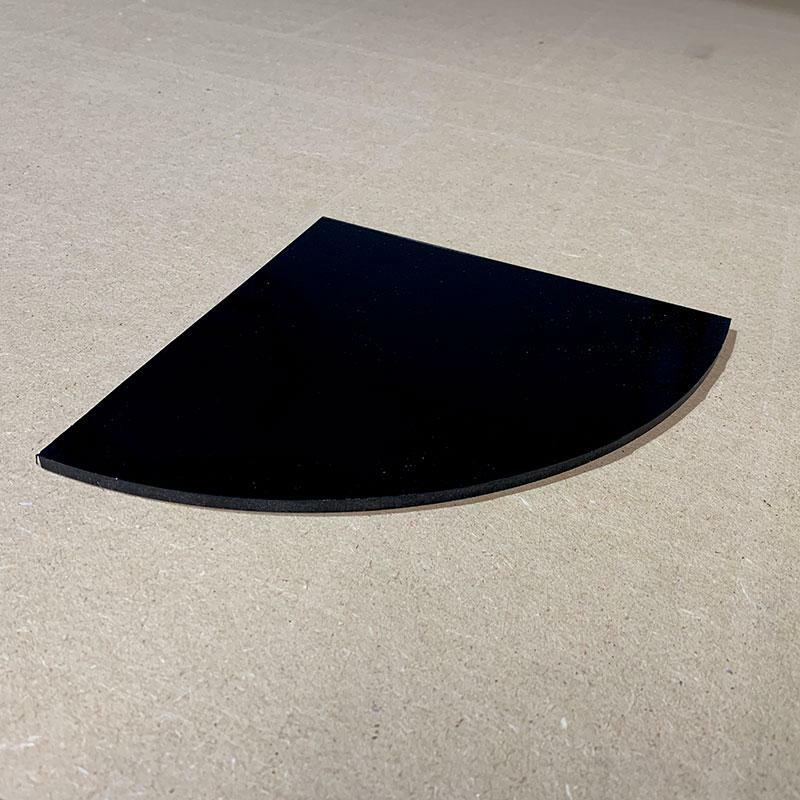 If the hobbyist is in tune with his or her tank, they tend to notice even the most minute changes, and take the necessary steps to avert disaster. What's an article without pictures? Here are some before and after pictures. To make dosing easier for me to accomplish, I made my own drip system with some parts on hand. I didn't want to have to drip it in slowly by hand, and definitely didn't want to pour it in all at once. 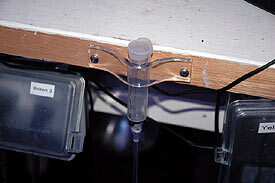 I had a 15 ml plastic syringe, and affixed the drip system from a Kent Dosing kit to it. 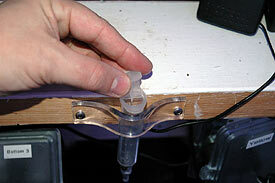 After heating up some acrylic, I secured the Vodka Drip Doser to the frame above my sump. When I'm out of town, it is easy for my son to pour in the daily dose. Vodka isn't the only solution to nitrate and phosphate issues, but for my tank, it really works. I will continue to dose the tank daily, as it takes less than 15 seconds, and I'm more than happy to do so. My tank sitter loves that product, it worked really well for his aquarium. I've not used it due to the size of my reef, I would need so much. If you'll check my recent blog posts, you'll see I'm trying a NO3 X-port brick from Brightwell Aquatics to see how it does. It's been in my sump for about three weeks so far. I think it'll take about six weeks to kick in.